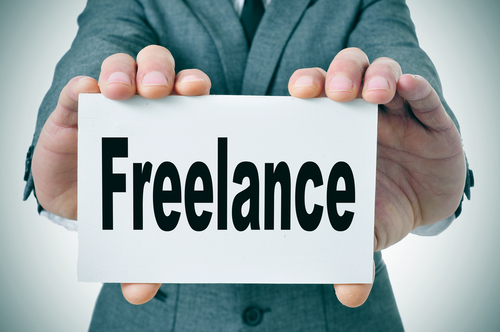 New research suggests you should consider freelancers. A survey conducted by The Creative Group, a Robert Half company providing creative staffing services, finds that nearly four in 10 advertising and marketing executives (39 percent) say the freelance creative talent pool has grown stronger. In addition, more than half of survey respondents (58 percent) report that their company employs project professionals. Among these organizations, approximately 14 percent of staff work on a freelance basis. The research shows small agencies (20-49 employees) rely most heavily on project professionals: 23 percent of their employees, on average, are freelancers. In comparison, approximately 8 percent of staff at large companies (1,000+ employees) are project professionals. Nevertheless, companies are sometimes reluctant to work with freelancers, for fear of real or perceived obstacles. As part of The Creative Group survey, advertising and marketing executives were also asked to share their greatest challenge when working with creative freelancers. The top response was making them feel like part of the team (25 percent), followed by negotiating pay rates (22 percent). Finding skilled freelancers and communicating or collaborating effectively with them (19 percent) tied for the third most-pressing concern. Other onboarding best practices apply to freelancers. These include creating a welcoming workspace equipped with basic office supplies, including a computer with up-to-date software, and providing reference materials (like logins, passwords, and style guides). Assigning a point person to answer questions that may arise is also recommended. Domeyer notes that recruiters can ease some of employers’ freelance worries. “Busy hiring managers can benefit from engaging the help of staffing firms, which handle a lot of the legwork recruiting entails, including finding and interviewing highly skilled candidates and establishing pay,” she says.